So I am a fan of Marcus Samuelson, and I had no idea it was his restaurant until we arrived. I hate to admit it but I am a fan of him, for personal reasons and not quite his cooking, well until I ate at Red Rooster. When I realized that Red Rooster was his spot, I was super-duper pumped to be there. I must say the food was was pretty good. 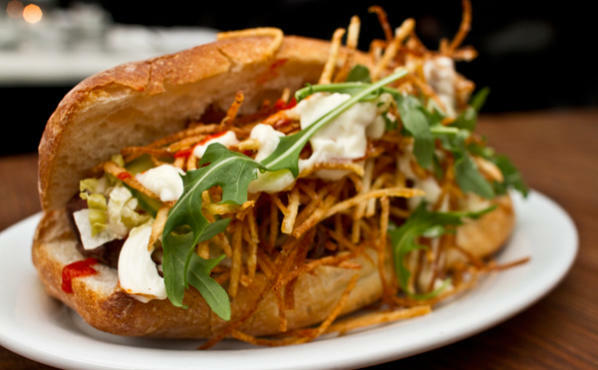 I had been greatly disappointed with a lot of the food I had while in New York, but Red Rooster was a pleasant surprise. It was the birthplace of some great ideas I've had recently (keep your eyes peeled). The ambiance played heavily into an awesome chill night out. 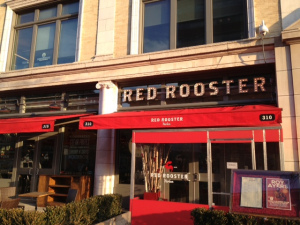 Red Rooster perfect for a night with friends, or even a night with that special someone. There is always music playing, and the later the night the better the music gets. 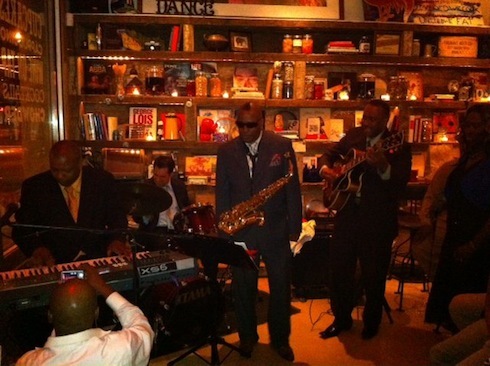 They are know to have great musicians stop by and grace you with their talents, while experiencing the culinary explosions that take place in your mouth while dining in the restaurant. It was just a plus that Red Rooster was a BoBo, I'll definitely be swinging back by there sooner rather than later. Highlights: Great Ambiance. Great Food. Beautiful Establishment. UNfavorables: 1 1/2 hour wait on a thursday night. Final Judgement: It's a win.